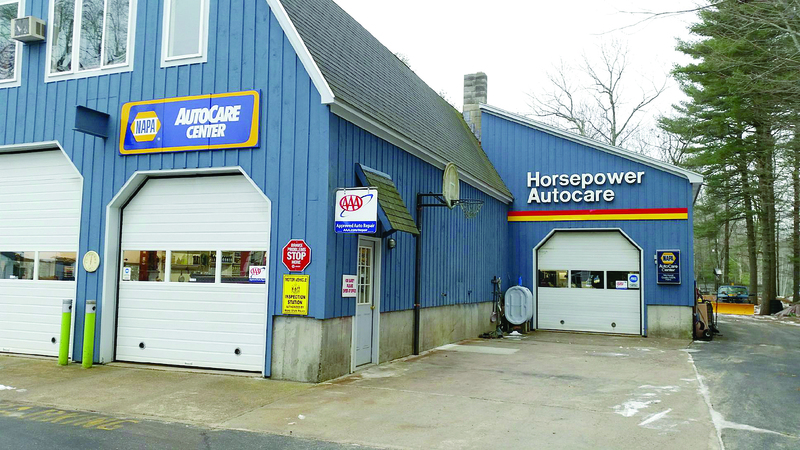 Horsepower Autocare has been in business for 36 years. They have worked on a lot of cars, have seen the industry change and still, every morning they get up and go to work at a job they love. Bonnie and Bob Merrill bought all of the equipment from Bailey’s Garage in Westbrook in 1979 and decided to open their own shop where they still offer quality service and quality repairs at 44 Roosevelt Trail. “We do everything that is automotive related,” said Bob. The business doesn’t do body work or tow cars, but they do brakes, exhaust, “a lot of driveability work and diagnostics,” added Bonnie. 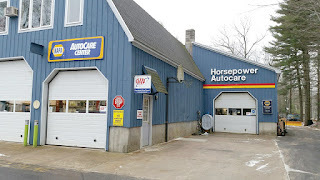 Horsepower Autocare is a NAPA Auto Care Center and a AAA approved center. “We’ve been very successful with both of those organizations,” said Bob. To keep up with the affiliations, they have to meet the standards every year. The quality that AAA is associated with and the quality parts NAPA has in addition to the substantial warranty, meshes nicely with the quality work and the high standards Bob and Bonnie set for themselves and their employees. Everyone who works at Horsepower Autocare is Automotive Service Excellence (ASE) Master technician. They have earned the Blue Seal Award for service and excellence in the industry for the past 12 years. They are only one of two in the state who have earned this recognition. The company has earned many awards over the years, including Bob being recognized as the NAPA ASE technician of the year in 2004. “If they’re looking for a place that’s straight forward and honest, that’s us. I think that’s one of the important things today,” Bob said. The Merrills just arrived back from a NAPA training in Las Vegas, taking five seminars over three days. They learned not necessarily about fixing cars on this trip, but about who their customers are and how to make and keep them happy. “It’s a changing business,” said Bob. Bob and his crew keep up with new technology, but still have the skills to work on classic cars. “We aren’t limited and have info that goes back to the 40s and go right up to the new cars,” he added. They work on all makes and models. “All of us go to trainings all the time. We must stay current,” Bob said. Cars can be towed to Horsepower Autocare, all a customer needs to do is ask. “People in the summertime use that a lot. They contact AAA and have their cars towed here,” said Bob. Cooper Eells of Portland stopped by the shop on Tuesday. “I had to find an ASE certified place for my insurance. I liked their website, so I brought my car here. They did a good job and I’ll bring my car back,” he said. In addition to car repair, Bob also offers comprehensive evaluations for $130 on used cars. If someone is looking to purchase a car, they can have it looked at and know they are getting a good car, or if it’s one they should pass on. Horsepower Autocare is open Monday through Friday from 8 a.m. to 5 p.m. They can usually get a car scheduled in a day or two and they offer loaner cars. For more about Horsepower Autocare or to schedule an appointment, visit www.horsepowerautocare.com or call 892-9420.